In summary, the Financial Crime and Identity Compliance and Network Security Compliance categories are leading the sector in funding. 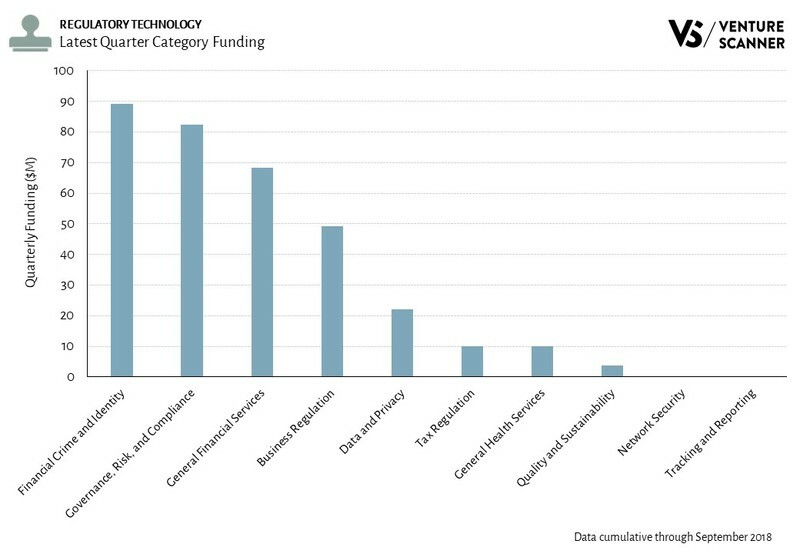 Let's see how the the rest of 2018 shapes up for regulatory technology! 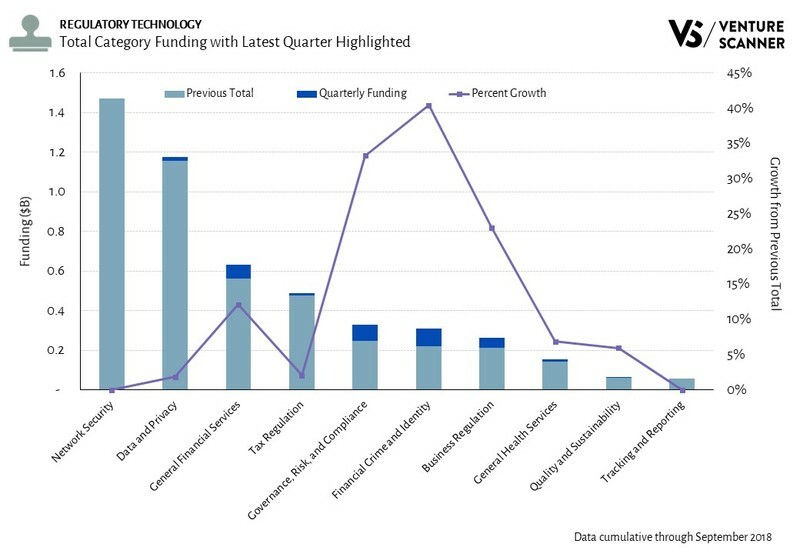 To learn more about our complete regulatory technology report and research platform, visit us at www.venturescanner.com or contact us at [email protected].